Listening to the first movement of Mozart’s Symphony N° 41, known as the “Jupiter” Symphony, we are immediately struck by its clearly defined binary structure and its diametrically opposed, even contradictory tonalities. Mozart sets the scene for this counterpoint through a subtle interplay of alternating forms, rhythms and colours. He creates an association between something floating and light, and something dense and jittery, which rumbles and thunders, and at the height of its tension, its paroxysm, sets in motion the integral symmetry of the whole piece. The powerful flight rises up to mark the gentle modulation of an andante cantabile, then falls into a brief silence before soaring once more. This structure is rigorously applied in the following three movements. Mozart completed this final symphony on 10 August 1788, shortly before his death. It is the manifesto of his musical language, the construction of which is impossible to define, and transports us to the sublime from the very first bars. 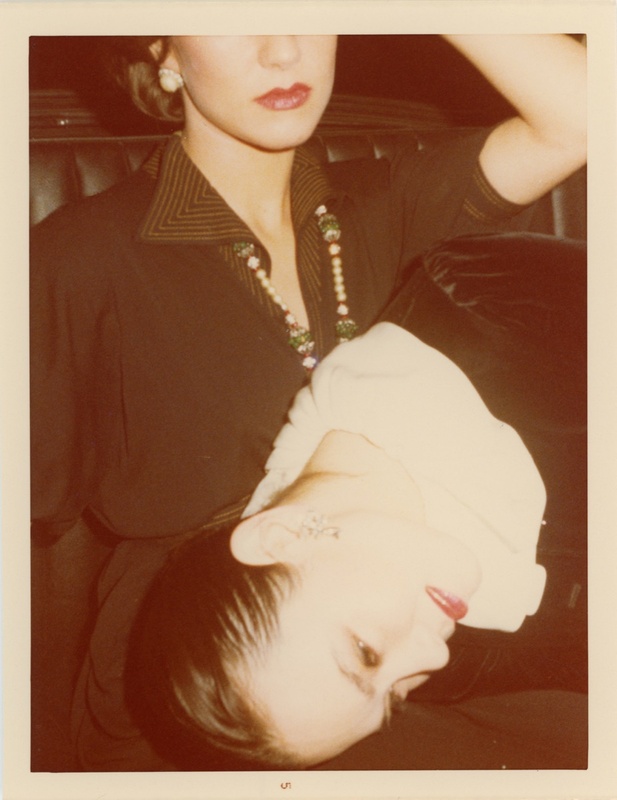 Antonio Lopez was dogged by the same longing — also probably never satisfied — and the same fiery brilliance, apparent total casualness, and a strange anxiety, which would be central to his work. This same longing probably also pushed him to construct, without prelude or beginning, this protean body of work that took hold of everything and eventually overwhelmed him. Because deep down, the material of his work, integral to its texture, is time; time gathered as it passes, that “rushes forward, escapes, blossoms, crumbles away, and overexposes itself” (1); cowardly time that sneaks out through the back door before the performance ends. 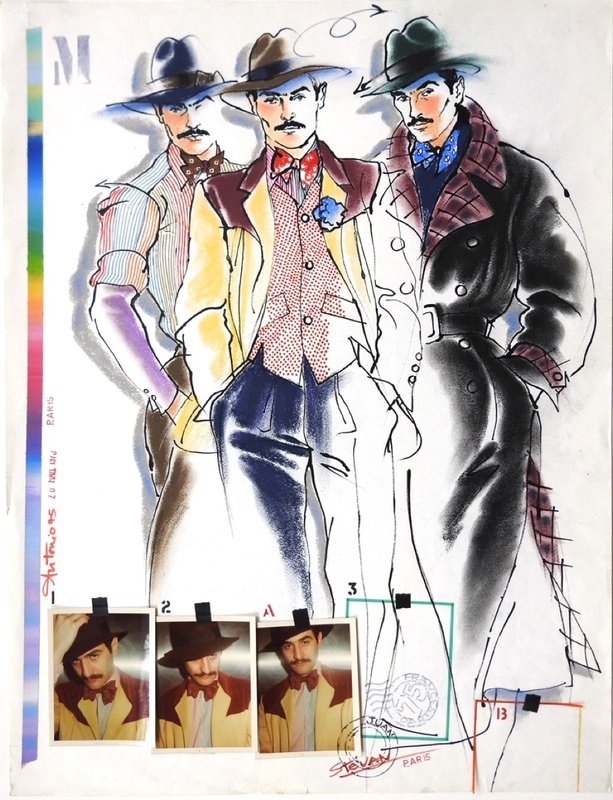 Born in Puerto Rico in 1943, Antonio Lopez remains one of the fashion world’s most important and remarkable figures from the 1960s to 1980s. At the tender age of seven, his family moved to New York, his adopted city, which would later become the giant stage for his creative work. 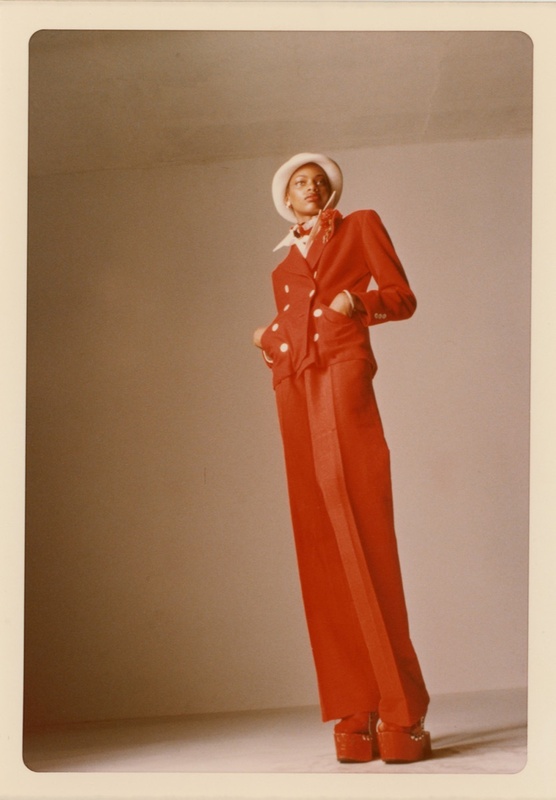 He studied at the Fashion Institute of Technology, where he met his partner, Juan Ramos, who had a profound influence on his entire oeuvre, supporting his creative production and his rise up the fashion ladder. 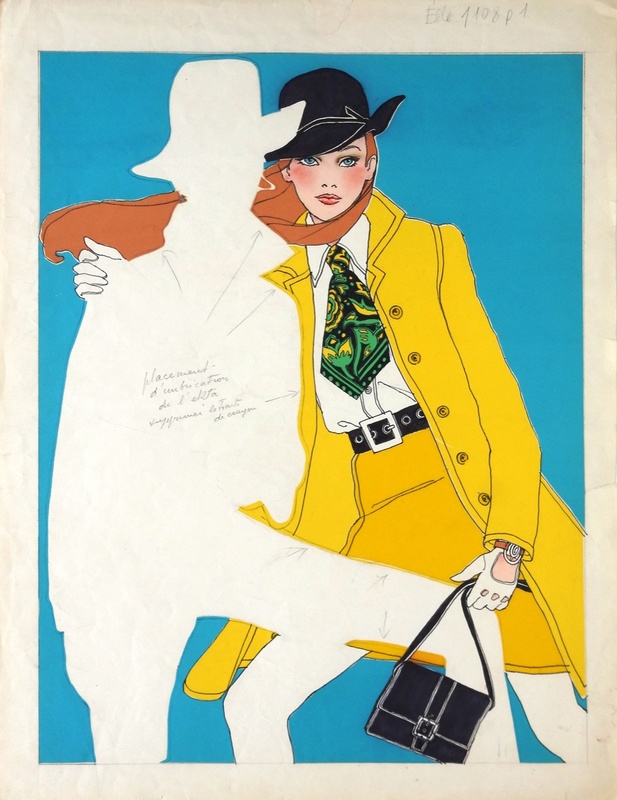 From the 1960s, Antonio Lopez worked as a fashion illustrator, and his drawings were published in magazines including Vogue, Elle, The New York Times, and Harper’s Bazaar. In New York, he collaborated with artists and publishers such as Andy Warhol and Diana Vreeland, then moved to Paris in 1969. Here, he worked with Yves Saint-Laurent and Karl Lagerfeld for some years and became an iconic figure on the Paris fashion scene, along with “Antonio’s Girls”. Antonio became his eponym. Freed from the name of his family, he created his own. This family was also, in some ways, his court. 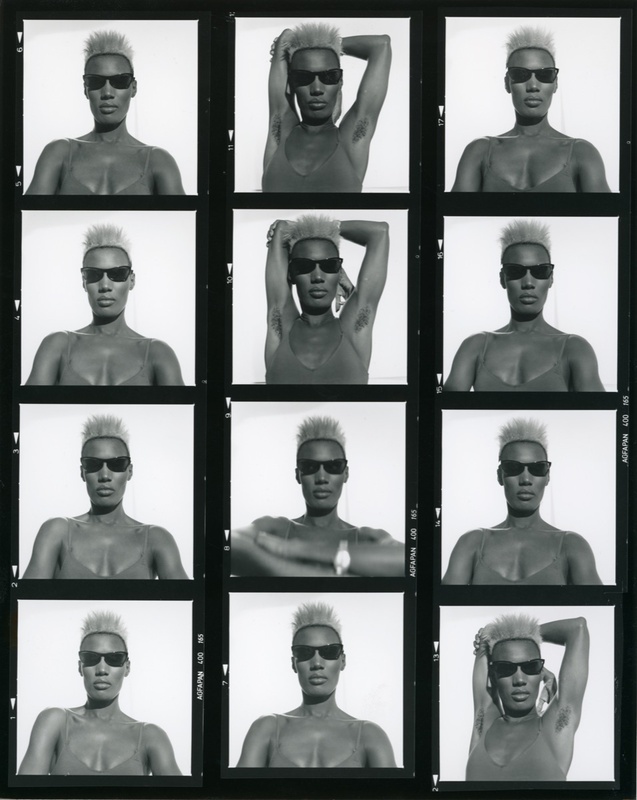 It was attended by muses and models like Jerry Hall, Grace Jones and Jessica Lange, whose careers he advanced without them knowing. 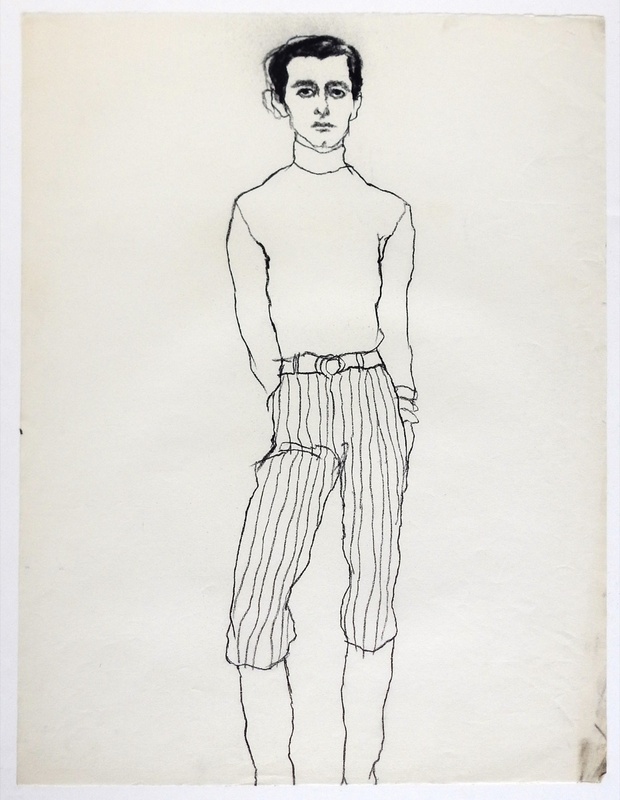 And countless friends, lovers and artists, who gravitated around him night and day, like doubles tasked with masking his solitude and relieving him of his shadow like Peter Schlemihl in Chamisso’s tale. After returning to New York in 1975, he worked tirelessly on one advertising campaign after another, perpetuating the inertia of this dazzling career until his sudden death finally brought it to an end at the age of just forty-four. 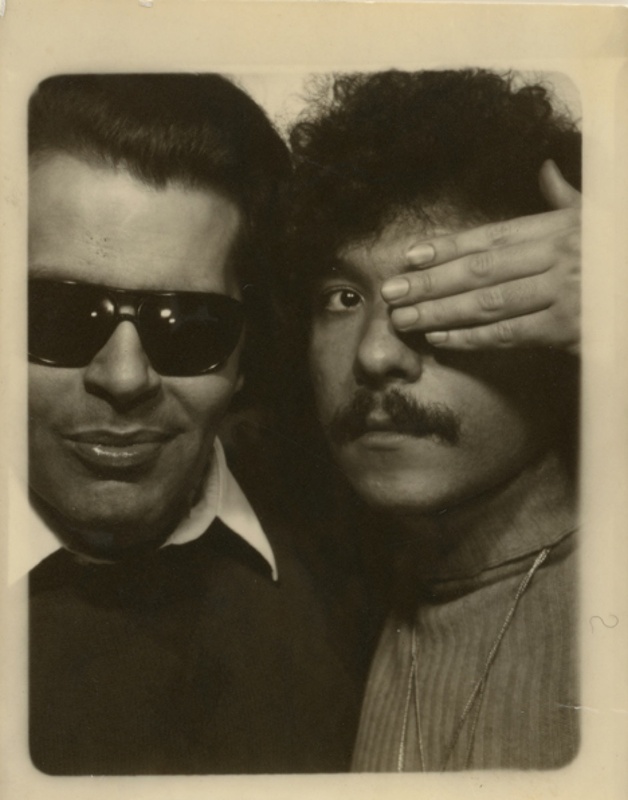 Antonio Lopez died of AIDS on 17 March 1987, in Los Angeles, leaving behind a large body of work. His aesthetic and rhetorical statement would dissolve into the depths of art history. 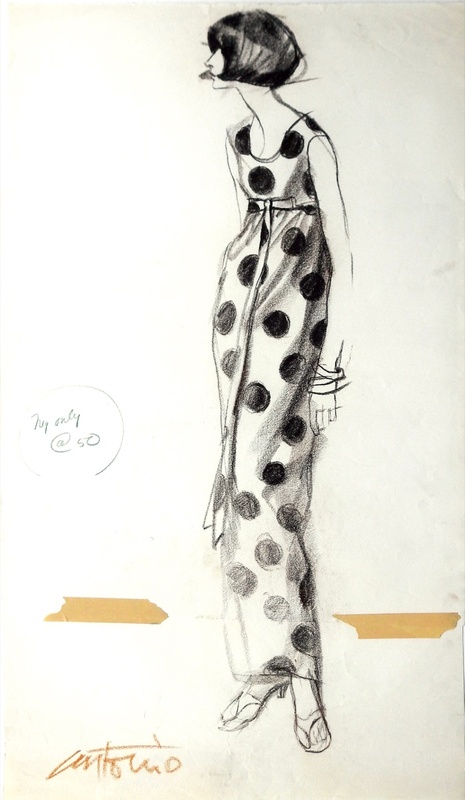 Fashion was his subject, but also his pretext – his pretext to express beauty, sensuality, sexuality, life and time. 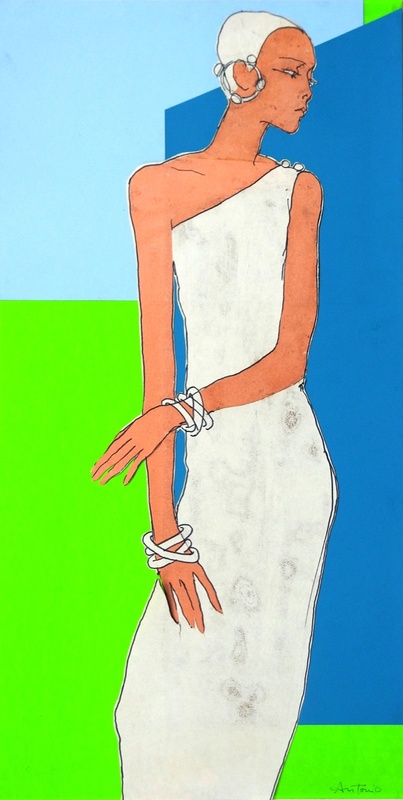 Because fashion, as Coco Chanel described it, “is not something that exists only in clothing. Fashion is in the air, borne upon the wind. We feel it. Fashion is in the sky, and on the street. 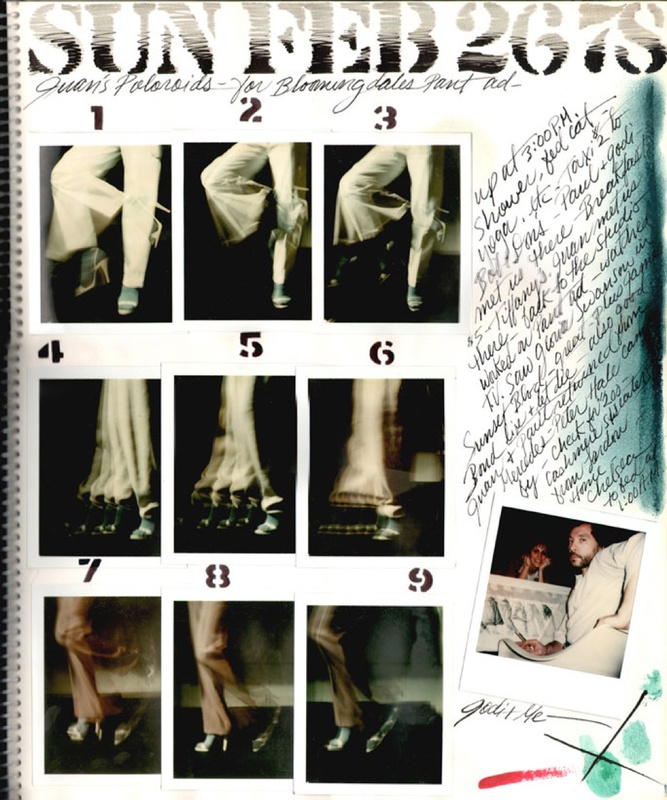 “Antonio Lopez conveyed, embodied, lived fashion. It was a matter of attitude, and probably of life or death. For although death took him too soon, his entire body radiated life. A fiery, exhilarating, passionate, luminous life, always pushed to its peak by the vital force of his creative powers and a compelling need to search for something without ever really caring to find it. Drawings, Collages, Instamatics, Polaroids, Films. Everything seems to have been part of a Stendhalian project to bring together the events of a discontinuous experience within a consensed narrative. In Lopez’s work, we find a characteristic typical of Stendhal, that of intertextuality, as if a language, by simple proximity, transforms other forms of languages that modify it in return. 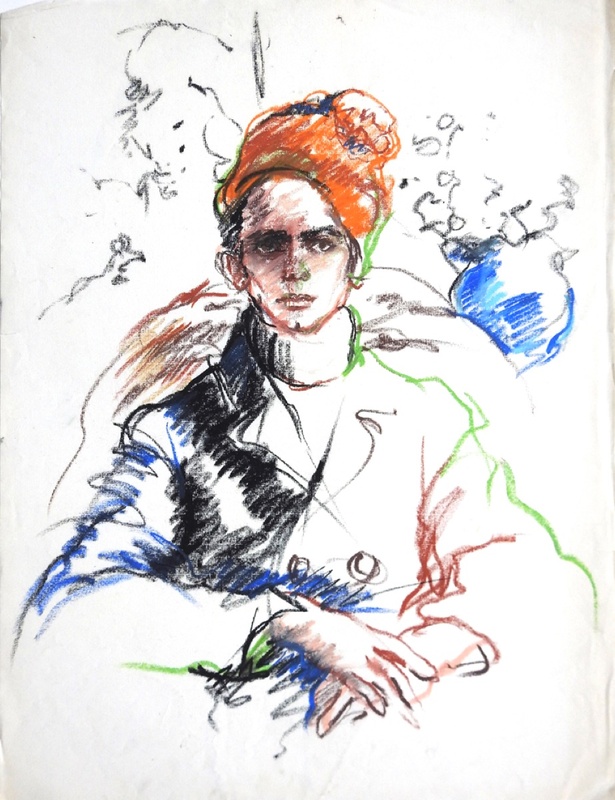 When he draws, his eyes fixed on his model, he allows himself to be swept up in the intoxication only the present moment can provide; to be possessed by the rhythm of his own breathing; he projects himself into a transitional state of which the only possible outcome can be absence. 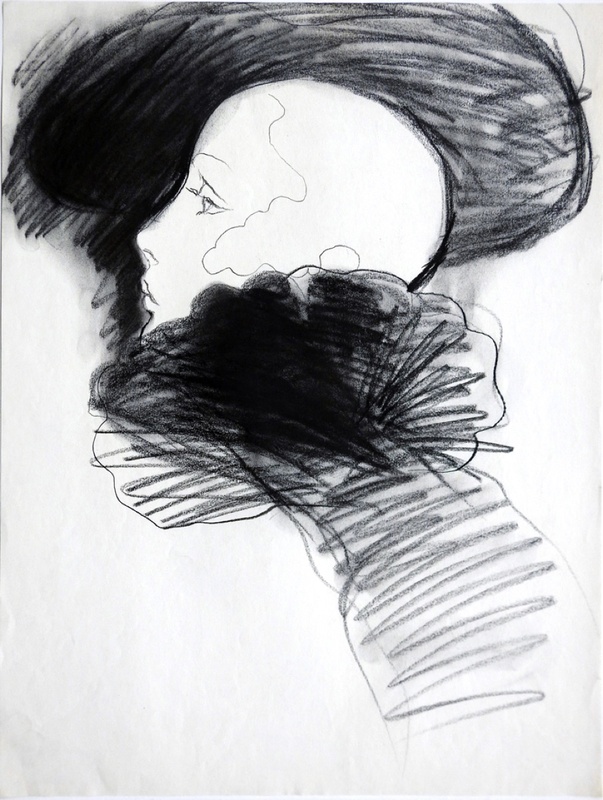 Antonio Lopez’s own instant drawings respond to a questioning linked directly to the capture of time, not an aesthetic in itself. He solved the problem of capturing the moment, paradoxically, through drawing, not Polaroid or Instamatic photographs, which he would lead to other digressions in language. 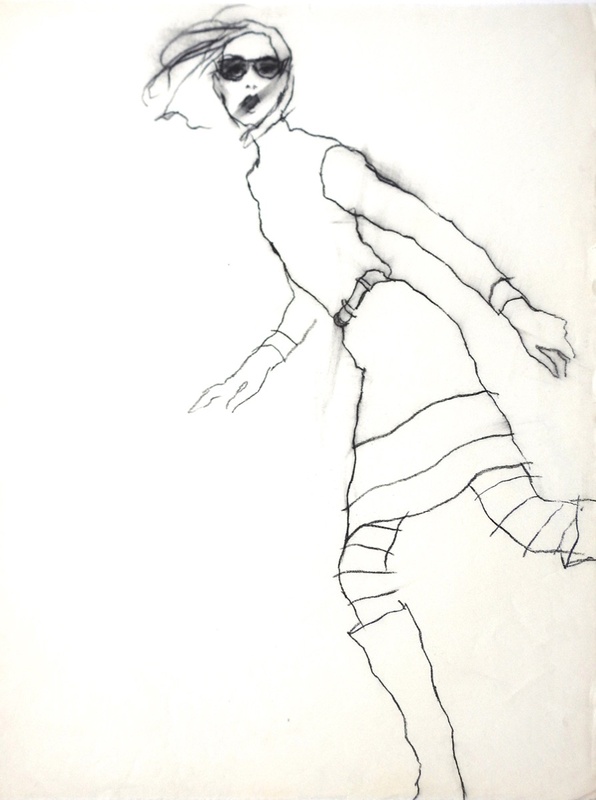 While the idea of immediacy is evident in many of his drawings and studies, some also record the principle of simultaneity – a principle used in theatre and painting since the Middle Ages. Artists such as Hans Memling, Nicolas Poussin and Antoine Watteau, with whose work Antonio Lopez was very familiar, used this process to represent in the same pictorial space successive episodes of a story that chronologically set the scene for actors in various situations, like a film sequence. Antonio Lopez used this process in one drawing after another, including “Newsweek Disco Story,” in 1976, which depicts the tempos of two dancers moving in space, like a cubist drawing where time is divided into micro-fractions and organised around a central axis. 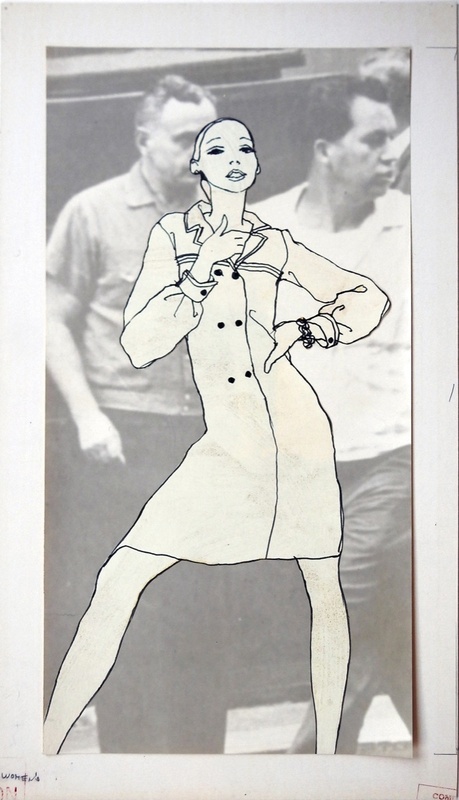 Or this collage for Interview, the magazine founded by Warhol, featuring Jacques de Bascher, Leon Talley and Karl Lagerfeld, whose body is split and variegated, following a musical principle of variation, in a series of Instamatic photos glued onto the drawing, creating a diachronic displacement in the image, and a desynchronization. It is as if the sequence is expanding to become a swollen manifestation of time. Eric Rohmer said of his film series based on this principle of variation: “I conceived my Contes Moraux as six symphonic variations. Like [a musician], I vary the initial motif, I slow it down or speed it up, stretch it or shrink it, add to it or purify it“. 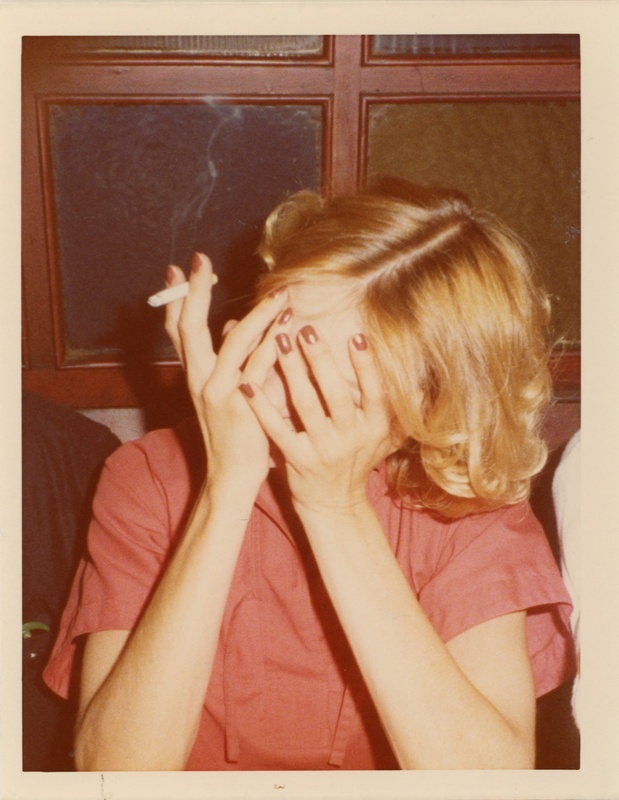 The same mechanism is found in some of Antonio’s drawings, and frequently in his series of Polaroid and Instamatic photographs, which are most often placed in real or reconstructed sequences of nine images. He then transposes the characteristics specific to cinematic language into a fundamentally free and open language. This is where he sets the stage for what he sees and thinks. And since one medium driven away is replaced by an other, when Antonio grabbed his Super 8 camera on a whim, it was to interpret states of mind that eluded the pencil, brush or pen. He let himself be carried away by improvisation in his films and brought along his troupe in a coup de théâtre where he was the hidden witness of plays by Molière and his companions, characters who laughed at everything and scoffed at life. A stage, mimes, masks, and a dissonance with reality, Antonin Artaud would say, is the secret of theatre (7). This dissonance is also the place, in Antonio’s work, on which everything hinges; the place of a great inner solitude, where he faces the strange, the wonderful and the inexplicable, “in the depths of his being, in the darkness, in the ineffable, in the unconscious, in the region where his own understanding does not reach. Where eternity penetrates the days” and continues to quiver before our eyes.